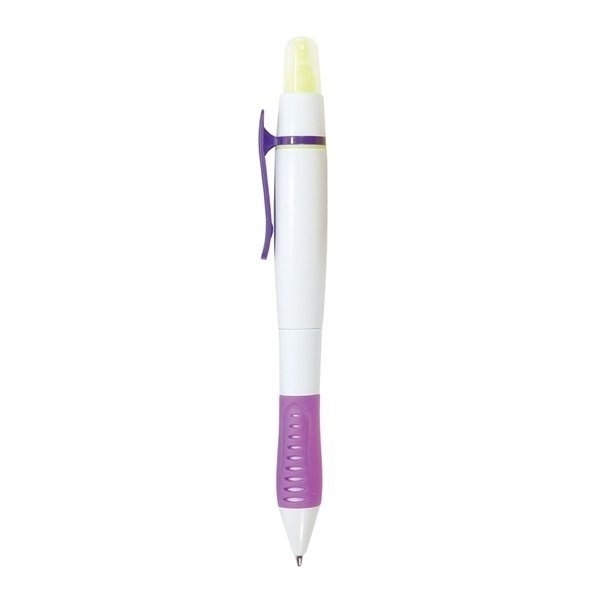 Add some color to your advertising campaign with this Double Take Pen! It comes with black ink and has a medium writing point. A yellow highlighter is also included and multiple colors are available to complement your company's imprint. 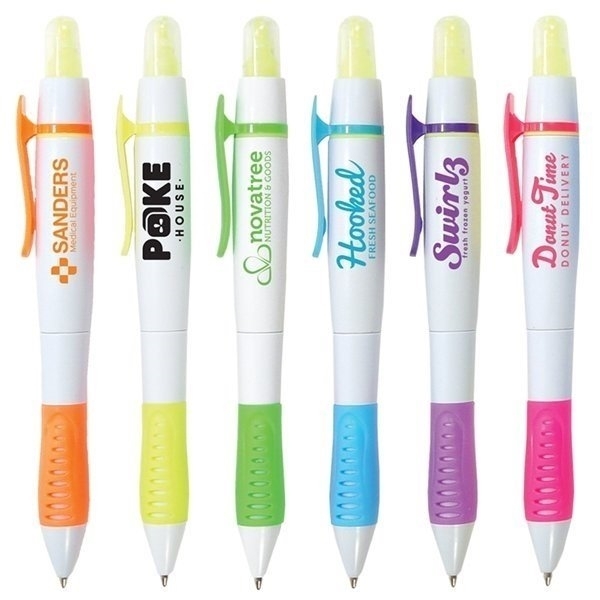 Add your name and logo to this pen before handing it out at grand openings, conferences, trade shows and other promotional opportunities. Make sure new and potential clients take a good look at your brand again and again, every time they use this stylish gift!